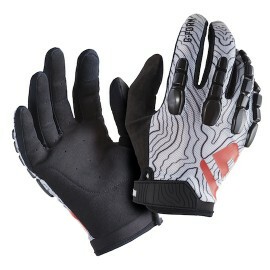 Pro Trail Gloves 結合了職業運動員的意念設計而成，Pro Trail Gloves 能完全緊貼手部線條，維持手部敏銳的觸感，配合在手腕和手背的RPT保護墊，更有效吸收撞擊力。 • RPT保護墊依據人體地圖 (Body-mapping) 設計，能有效吸收撞擊力，保護手腕及手背 • 手背部份的壓力布料具防曬系數(UPF) 50+及吸濕排汗功能，指節、指尖和手掌部份則由合成皮革製造 • .. 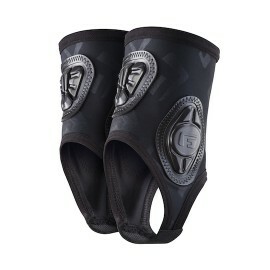 PRO ANKLE GUARDS (護踝) S/M, L/XL 低調而沉實的設計，結合強而有力的保護墊；不論任何情況、任何環境，G-FORM的護踝都能為你的足部提供全方位的保護。 • RPT保護墊依據人體地圖 (Body-mapping) 設計，能有效吸收撞擊力，保護腳踝 • 具防曬系數(UPF) 50+的壓力布料有吸濕排汗功能，令穿戴者感到乾爽舒適 • 設計沉實，緊貼身體猶如你的第二層皮膚 • 可前後反轉穿著 ..
ELITE ELBOW GUARDS（ELITE精英護肘） S, M, L, XL 無論是崎嶇山路或室內賽道，Elite Elbow Guards都會為你提供高效保護，配合透氣輕巧的特性，適合全日駕駛或比賽時穿著，提升表現。 獲歐盟CE認證的電單車手/單車手護肘 (CE EN 1621-1:2012) 護肘的包覆性超越歐盟CE認證的標準 RPT保護墊依據人體地圖 (Body-mapping) 設計，能有效吸收撞擊力 具防曬系數(UPF) 50+的壓力布料有吸濕排汗功能，令穿戴者感到乾爽舒適 護肘背面以網狀技術製成，加強透氣及吸濕排汗功能 護肘..
ELITE KNEE GUARDS（ELITE精英護膝） S, M, L, XL 針對在崎嶇山路或室內賽道競技而設計，Elite Knee Guards獲得歐盟CE1621一級認證，符合電單車手保護裝備的頂尖標準。 獲歐盟CE認證的電單車手/單車手護膝 (CE EN 1621-1:2012)) 護膝的包覆性超越歐盟CE認證的標準 RPT保護墊依據人體地圖 (Body-mapping) 設計，能有效吸收撞擊力 具防曬系數(UPF) 50+的壓力布料有吸濕排汗功能，令穿戴者感到乾爽舒適 護膝的..
PRO-X ELBOW PADS（PRO-X護肘） XS, S, M, L, XL 無論是在滑板場上、賽道上或是水上，Pro-X Elbow Pads能夠給你足夠的保護，卻不會限制你的活動能力。保護墊的人體地圖 (Body-mapping) 設計能全面緊貼身體，輕巧而且沒有負擔。到你需要它的保護功能的時候，才會察覺到它的存在。 獲歐盟CE認證 (CE EN 15613:2008) RPT保護墊依據人體地圖 (Body-mapping) 設計，能有效吸收撞擊力 具防曬系數(UPF) 50+的壓力布料有吸濕排汗功能，令穿戴者感到乾爽舒適 ..
PRO-X KNEE PADS （PRO-X護膝） XS, S, M, L, XL, XXL 貼服設計讓護具完全隱形在衣服之下，絕對不會限制你的活動能力——你甚至不覺得自己佩戴了保護墊。這些多功能的護膝非常適合騎山地自行車，小輪車，滑板，單板滑雪和足球。不論你穿著的是什麼服裝：貼身褲、比賽服裝、短褲，都會受到我們智能保護墊的撞擊保護。成對出售。 Pro-X護膝蓋特點 獲歐盟CE認證(CE EN 15613:2008) RPT®技術保護墊依據人體地圖 (Body-mapping) 設計，能有效吸收撞擊力 具防曬系數(UPF) 50+的壓力布料有吸濕排汗功能，..
ELITE KNEE-SHIN GUARDS(精英護膝脛) XS, S, M, L, XL Elite Knee-Shin Guards專為需要全方位保護的極限運動員而設計。護具獲得歐盟CE1621一級認證，符合電單車手保護裝備的頂尖標準。不需要再分開佩戴護膝和護脛，Elite Knee-Shin Guards的一件頭設計能完全貼服於膝蓋，同時針對膝蓋和脛骨提供全方位保護 • 獲歐盟CE認證的電單車手/單車手護脛 (CE EN 1621-1:2012) • ..
男裝 PRO-X 運動上衣 S, M, L, XL 男裝 PRO-X 運動上衣用獨家RPT™衝擊保護技術，設計緊貼身體，絕不影響你的活動能力。舒適耐用的物料可以密集使用、重覆清洗，仍能保持性能不減退。 RPT保護墊依據人體地圖 (Body-mapping) 設計，能有效吸收撞擊力，保護肋骨、胸骨、肩膊及鎖骨 具防曬系數(UPF) 50+的壓力布料有吸濕排汗功能，令穿戴者感到乾爽舒適 多重接駁設計，令上衣更加緊貼合身 上衣側面以網狀技術製成，加強透氣及吸濕排汗功能 ..
MEN'S PRO-X SHORTS（男裝PRO-X運動短褲） S, M, L, XL Men's Pro-X Shorts裡的RPT保護墊能有效吸收撞擊力，保護髖部、大腿和尾龍骨。在任何競技場上為所有運動員提供全面高效保護。 • RPT保護墊依據人體地圖 (Body-mapping) 設計，能有效吸收撞擊力，保護髖部、大腿和尾龍骨 • 具防曬系數(UPF) 50+的壓力布料有吸濕排汗功能，令穿戴者感到乾.. 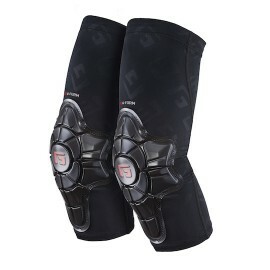 YOUTH PRO-X ELBOW PADS（童裝PRO-X護肘） S/M, L/XL 護肘特別為潛能無限的年輕運動員而設計，能夠提供高效保護的同時保持舒適，適合全日佩戴。 獲歐盟CE認證 (CE EN 15613:2008) 專為孩童而設的貼服剪栽，更加合身 RPT保護墊依據人體地圖 (Body-mapping) 設計，能有效吸收撞擊力 具防曬系數(UPF) 50+的壓力布料有吸濕排汗功能，令穿戴者感到乾爽舒適 複合接駁設計，緊貼身體仿如你的第二層皮膚 .. 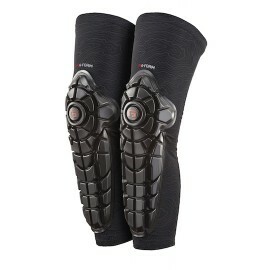 YOUTH PRO-X KNEE PADS（童裝PRO-X護膝） S/M, L/XL 特別為潛能無限的年輕運動員而設計，Youth Pro-X Knee Pads能夠提供高效保護的同時保持舒適，適合全日佩戴。 獲歐盟CE認證 (CE EN 15613:2008) 專為小朋友而設的貼身剪栽 RPT保護墊依據人體地圖 (Body-mapping) 設計，能有效吸收撞擊力 具防曬系數(UPF) 50+的壓力布料有吸濕排汗功能，令穿戴者感到乾爽舒適 複合接駁設計，緊貼身體仿如你的第二層皮膚 .. 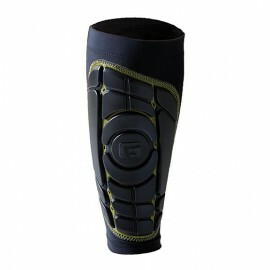 DETAILS: The Pro-S Elite Shin Guards offer a broader area of coverage. 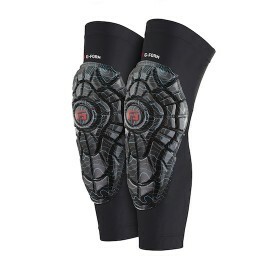 These pads are even more low-profile and fully articulate to flex around your shins and stay in place, even during the hardest tackle. 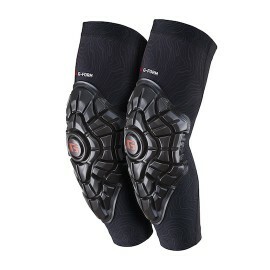 Our two-panel lycra sleeve ensures breathability and comfort like never before. You’ll notice.. 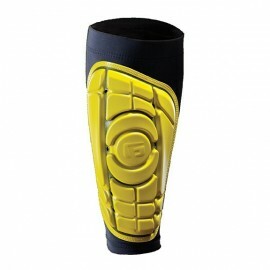 DETAILS: The Pro-S Shin Guards offer a broader area of coverage than our traditional Shin Pad. With extended upper-side protection and our breathable air vents, you may just find that this pad keeps you going even longer. Never again worry about shifting or falling pads – the Pro-S is constructed w.. The Women’s Pro-X Shirt provides proprietary (RPT®) Impact Protection anatomically designed to flex with you, so you don’t have to sacrifice movement. The incredible comfort and durability of the Women’s Pro-X Shirt make it ideal for heavy use and repeated washings. 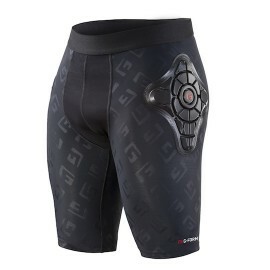 Women..
Bike-specific compression shorts with a built-in chamois, our Women's Pro-B Shorts offer incredible comfort and guard against impact from trail hazards. 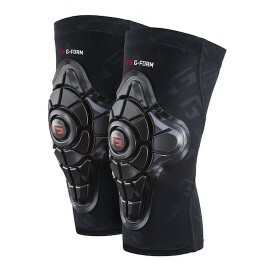 Women-specific fit and design Built-in women-specific chamois Body-mapped, impact-absorbing RPT® pads protect from impact..
With impact-absorbing RPT® pads shielding from impact at the hips, tailbone and thighs, the Women's Pro-X Shorts provide protection for athletes of all types, whether on the field, on the court, or on the mountains. 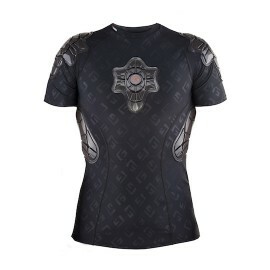 Women-specific fit and design Body-mapped, impact-absorbing&..